Rampal Murder Case: Rampal Sentenced To Life Imprisonment For Five Murders Case: Rampal, convicted in two murder cases, has been sentenced to life imprisonment by the Hissar Court. While pronouncing the judgment on Tuesday afternoon, the court has sentenced Rampal to 'life imprisonment'. Rampal was found guilty of the murder of 4 women and a child, on October 11, he was convicted. A special court in Hisar had convicted 26 followers including Rampal. Given the declaration of punishment, security around the jail was increased. 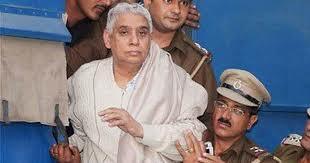 Apart from life imprisonment, a penalty of one lakh rupees has also been imposed on Rampal. In What Case Rampal Announcement Of The Sentence? In the cases where Rampal has been sentenced, the first case of that is the suspected death of the devotee, whose body was recovered from his Satlok Ashram on November 18, 2014. While the second case is linked to the violence in which the devotees of Rampal had clashed with the police. During this, there were 4 women and 1 child death in the violence that took place in 10 days. 67-year-old Rampal and his followers, After the arrest in November 2014, the prison was locked. Against Rampal and his followers, two cases were registered in Barwala police station on 19th November 2014. Strict security arrangements were made in the city of Hisar in Haryana. The police had made unprecedented security arrangements to deal with incidents like any serious organism, violence, and vandalism. Section 144 was imposed in Hisar district. For security arrangements, 1300 policemen of Hisar, 700 jawans from outside districts, 5 companies of RAF and 12 police officers of Haryana Police have been deployed. Apart from this, DSP's duty of other districts has been put in Hisar. Meanwhile, the police have flagged the march in the district.